Discounted Registration at the CalCAPA annual conference, which is the only statewide conference in California designed by Community Action for Community Action and has up to 40 workshops per year. Serve on a CalCAPA Committee. What Does CalCAPA Ask of My Agency? When you receive your 2018 CalCAPA dues invoice, please pay promptly. 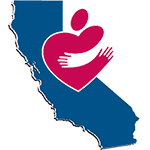 In comparison to other states and relative to the level of services agencies receive, California has the largest number of Community Action Agencies nationwide and CalCAPA works to serve all of our members. CalCAPA strives to keep membership dues very low and provide greater benefit to the agencies we serve. Membership dues help us to offer a variety of the benefits that we do as well as to pursue advocacy efforts on behalf of Community Action that we cannot charge to grants. When asked, we appreciate your agency sharing information about needs, wants, program successes, and client success stories. Having solid information from agencies about what they want and need helps us tailor our services for member agencies. Client success stories will help to capture the impact of community action and to tell the Community Action story both in California and in Washington DC. Please support NCAF by subscribing to CAP-FACTS: This is a bi-weekly publication that highlights issues of importance to the Community Action Network and supports the only organization that lobbies exclusively for Community Action on Capitol Hill. Subscription cost for this invaluable bi-weekly publication is $1,000 per year.